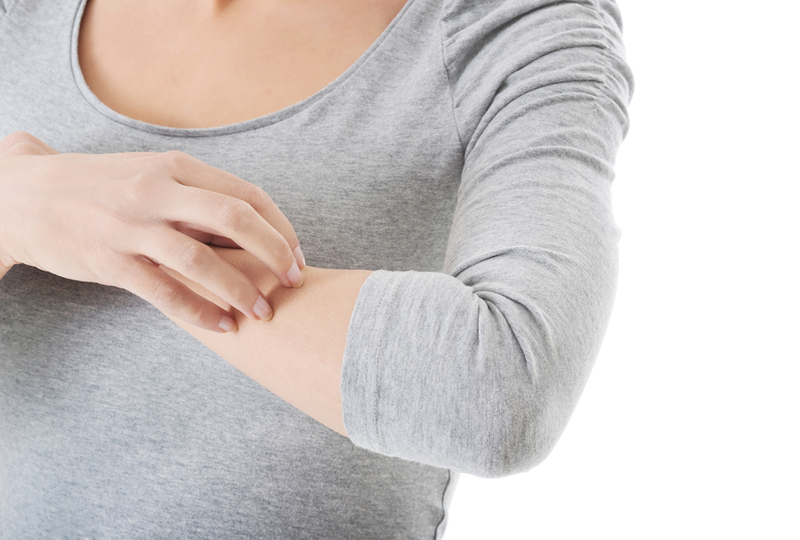 Young woman is scratching herself on arm. Jesteś tutaj: Home - Young woman is scratching herself on arm. Young woman is scratching herself on arm. Isolated on white.